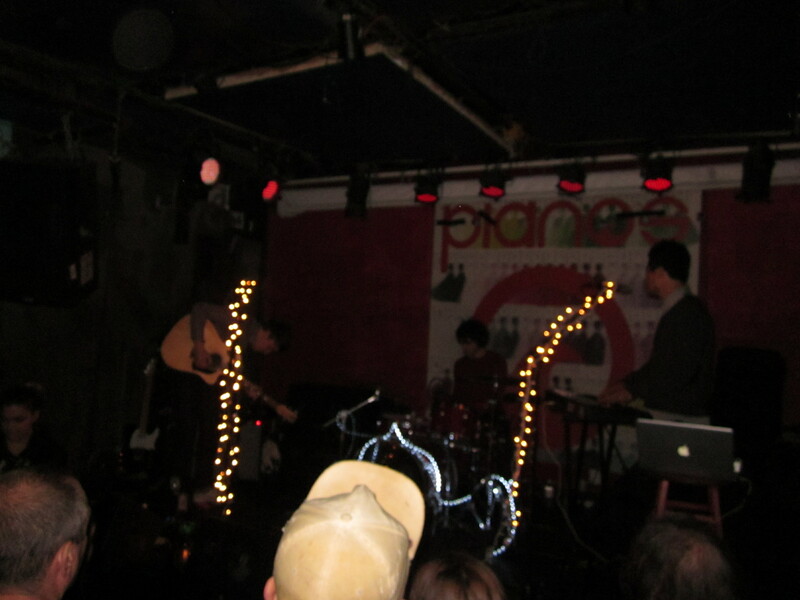 When you watch High Highs play at the claustrophobic, unadorned Pianos on the lower east side, you get that strange feeling that one day you’ll be able to brag about seeing them among 60 fans instead of 6,000. It’s impossible to predict when a band is destined to be big, but all the elements are here with High Highs: alluring stage presence, pitch-perfect live sound which matches the quality of their recently released 4 song self-titled EP, a blend of pop sensibility with a subtle complexity to give it indie cred, and a great catalog which promises for a unique, engaging debut album. 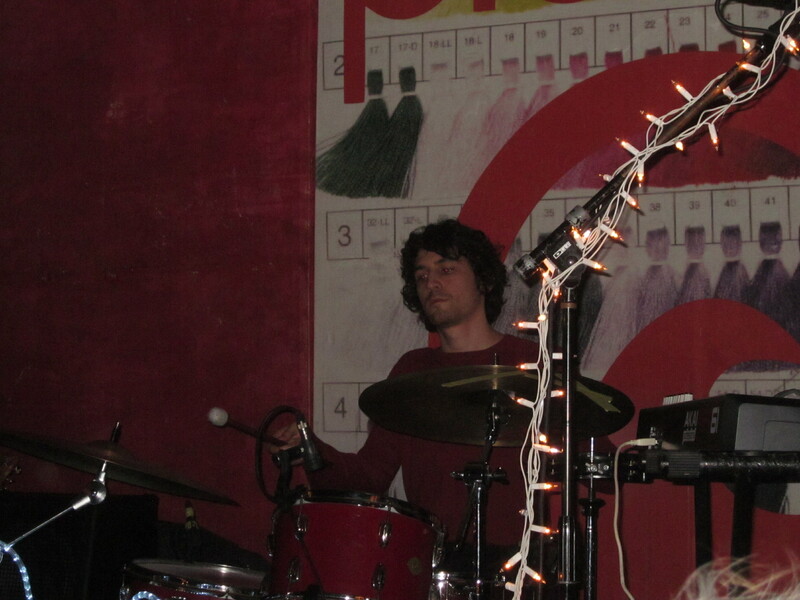 When High Highs took the stage at around 10:00 p.m. before a deep red-curtained background, lead vocalist and guitarist Jack Milas along with keyboardist and backup vocalist, Oli Chang, stepped up to microphones draped in spiral lights and immediately dove into Once Around the House (not off their EP), which set the tone for the night with its ethereal intro drenched in reverb and Milas’ echoed vocals. On percussion, Zachary Lipkins steadily thumped the bass drum, adding a hypnotic element to the already soothing melody. Typically, a small venue drowns out the singularity of each instrument as the sounds quickly bounce off the walls and mush together. High Highs, however, surprisingly did not fall victim to this as each song was crisp, clear, and able to highlight every layered aspect of the nine song setlist. After Once Around the House, the rest of the show continued with High Highs’ signature celestial sound, utilizing rich harmonies, a consistent exchange between acoustic and electric guitars, soft crooning, shimmering synth pianos, and drumstick mallets which gave the percussion a heavier, rounder sound. 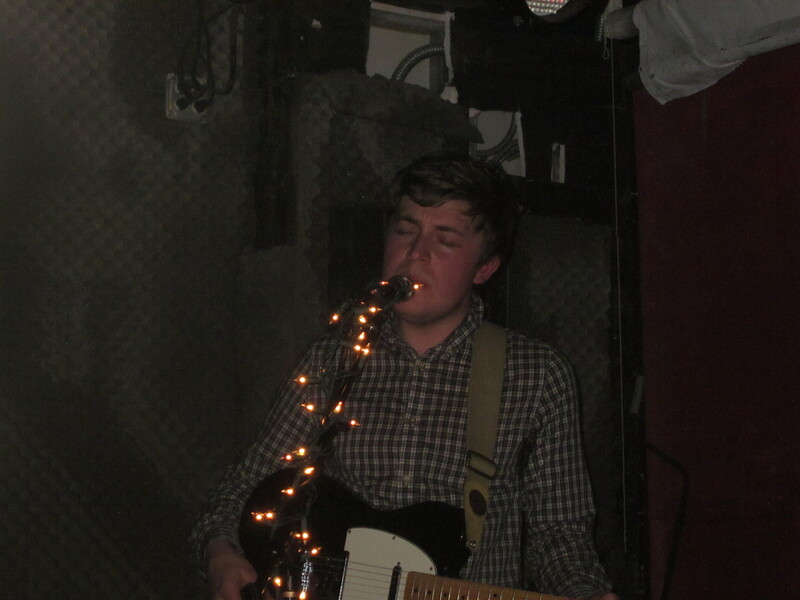 The highlight of the show was the youthful, carefree Open Season, from the band’s EP. Milas aggressively strummed his acoustic guitar and Chang’s piano mimicked a starry xylophone while Lipkins’ cymbals splashed over the crowd. At times during the show, Milas seemed shy, looking down at his feet, however, it was his demeanor onstage which made each song seem warm and sincere, as if he wasn’t just singing to us, but exposing secrets and emotions that have been buried deep. It was this simple way that the band was able to connect with the crowd and keep everyone engaged and calmly swaying back and forth as the music played on. 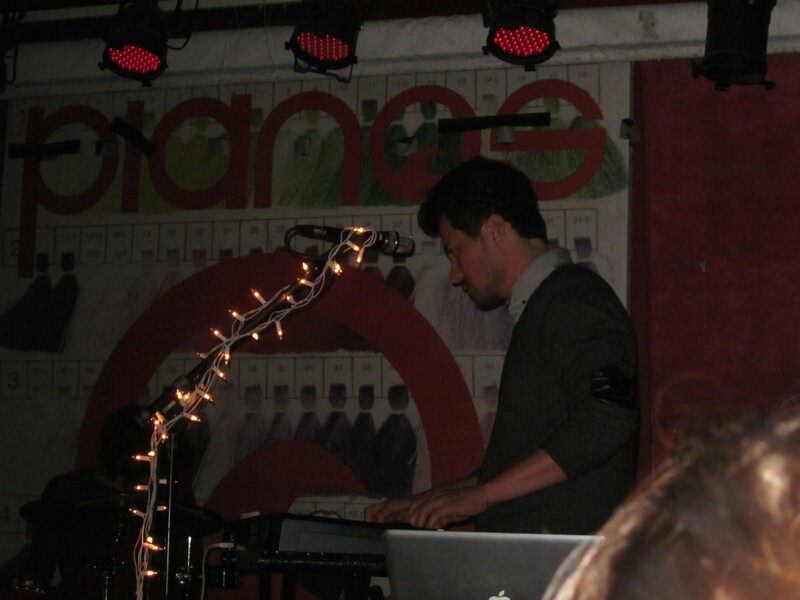 High Highs only played three songs from their lush EP: Horses, Flowers Bloom, and Open Season. The other six songs are a mix of old and new, but all shared an alluring, heavenly quality that dealt with love, leaving things behind, and journeying to new places. Whether playing slightly rock influenced tracks like Slow it Down, mainstream, user-friendly melodies like Phone Call, or haunting and soft tunes like Flowers Bloom, High Highs’ live show rises to the occasion. 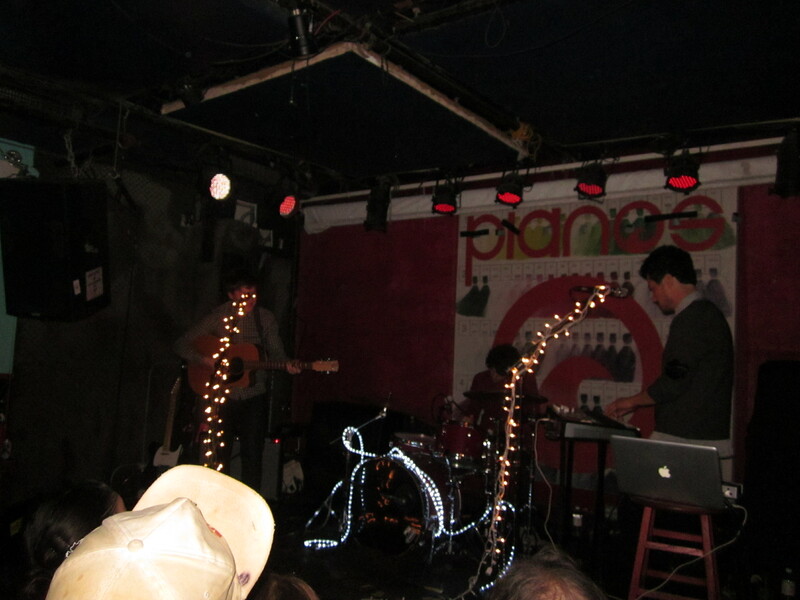 High Highs have two more shows left at Pianos: 2/15 and 2/29.